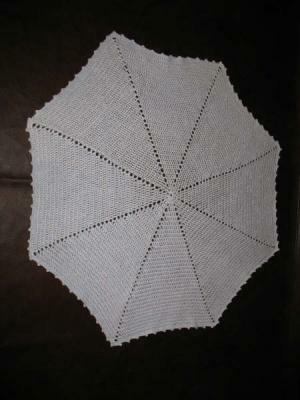 I found this Octagon Baby Afghan pattern at the Woolcrafting website when I was looking for a fun, easy project. I am new to crocheting and I decided to make the blanket for my friend who is having a baby in June. I got off to a rocky start. After about 9 rows, I discovered that I only had 7 sides to my octagon!! I ripped it out and started over. I am pleased with how it turned out, considering it is only my second project. I really like the picot edging. It was really easy with Jill's instructions and gave the blanket a nice finished look. I don't have pictorial step-by-step instructions, but if you contact me via my contact form I can help you out. Amy - your afghan looks wonderful. Exceptional that it's only your second project - congratulations! I'm so pleased you like the result. I think it looks very well-made.